Welcome to our website. 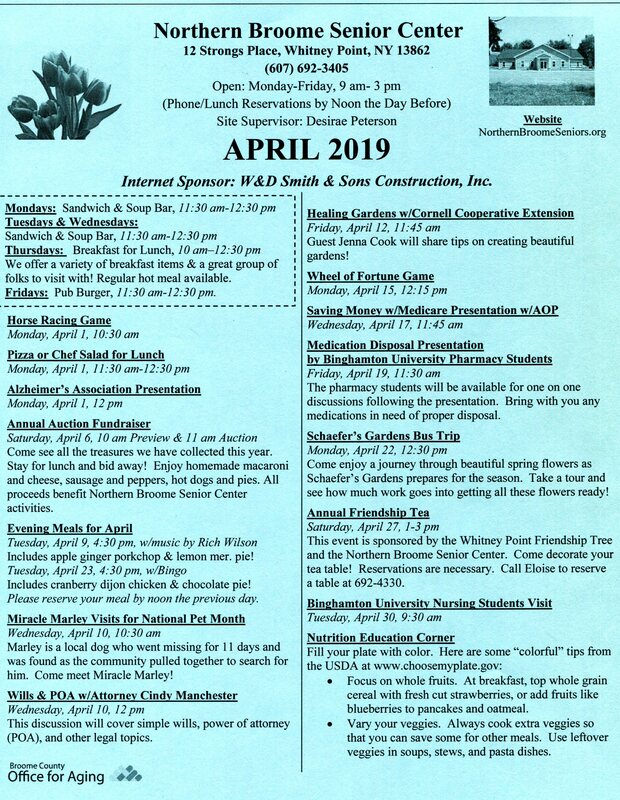 We invite you to come in and browse through our site and hope that you will be encouraged to visit the wonderful facility that the have in the Northern part of Broome county. The Northern Broome Community Center has been part of the Whitney Point Community for over 35 years. It was founded as the Senior Center and is now located at 12 Strong's Place (Behind SEPP Senior Housing). It is open from 9:00 AM to 3:00 PM for your enjoyment. 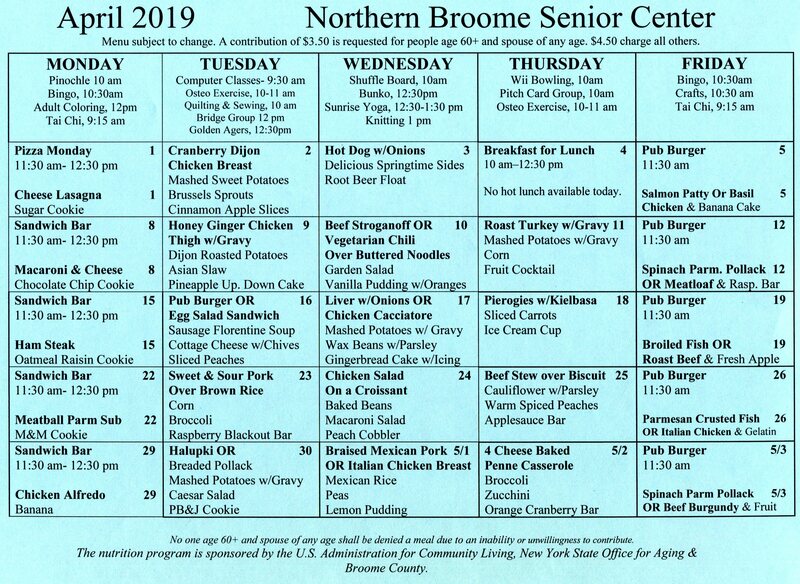 A nutrition Program and activities are provided daily and sponsored by the Broome County Office For Aging. Many special events are held throughout the year. Evening dining with wonderful entertainment is provided twice a month. Specific classes and groups meet on a regular basic and have much to offer with a variety of interesting topics. Please feel free to visit and experience the warm and friendly atmosphere you will find at our facility. New Pictures up What's Happening . . .
What's Happening >>>>>>>>>>>> Wi-Fi Is Here! Everyone enjoyed the spring fling. The had a boxed lunch with sandwiches, chips, pasta salad and home made cookies! Many people potted a plant to take home. Lots of fairy crowns were made also!